I came across IxCHeL Luxury fibres at colleague - Brigitte Haldeman's studio. With excitement and pride she took out what she called 'bunny' fibre that had been dyed especially for her. I thought I had to get me some of that! When I looked up IxCHeL Yarns and Fibres I ordered the colourway called The Lady and the Unicorn (after the 15th century tapestries, currently showing at Art Gallery of NSW). Charly who owns IxCHeL has a yarn and fibre club and that particular colour was in one of her surprise parcels to club members. The theme for her dyes at the moment are inspired by paintings, which instantly won me over. 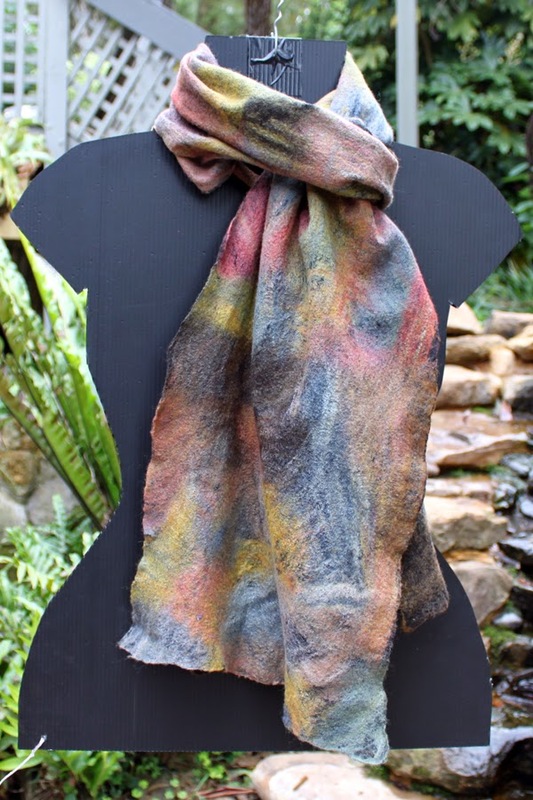 For experimenting with this fibre, I wanted a fine finish with ruching, so chose Paj silk as carrier. I had 2 metres of grey and another metre in a close enough colour. So, in all 3 metres, just enough for 1m square for front and back and another 1 metre for 2 sleeves of 50 cm length. Given the shortage of fabric I opted for a basic t-shirt type top. I had only purchased 100 gm of fibre - so not a great deal with which to play. I proceeded with one fine layer in multi-directions over the Paj – not taking too much care to overlap the fibres, but on the contrary leaving gaps. I like this painterly way of laying fibre. When pulled, the fibres were long and some of it quite shiny and I kept thinking I don’t like this. When all the pieces had been laid with fibre they were wet down sparsely (I was mindful of my fibres swimming off the Paj particularly near the edges) and sandwiched between plastic. I cut them into 2 lots (one front and sleeve) (one back and sleeve) for ease of rolling on The Gentle Roller. That way too, I would maximize the time by inspecting one while another bundle was on the roller. I completed 13000 rolls (6,500 x 2). The pieces were rolled in a towel to remove the moisture (I never wash my pre-felted pieces) and left to dry. The pre-felts were sewn together. I laid fibre over the seams (which had been ironed open flat) and used a hand rolling tool to get the fibres to settle, then wet down the whole piece (putting plastic between the layers to stop them from sticking, as well as sandwiching in plastic) and rolled the garment for another 8000 cycles using The Gentle Roller. It was then fulled using the GR's Drum. I kept the garment in its outer plastic, as well, the inner plastic resists were also retained so the two sides wouldn’t stick together. 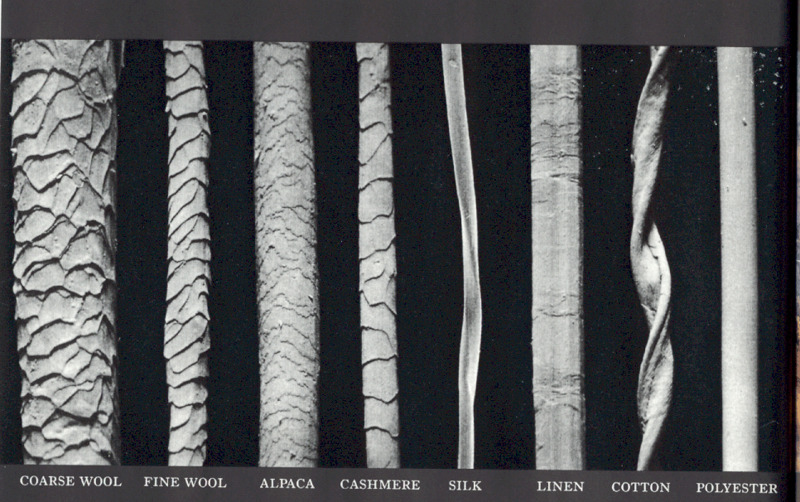 I noticed that the fibres were ‘fluffy’ and prone to stickiness. I used concertina folds according to the direction I wanted the garment to shrink. I ‘hide’ the parts that I don’t want to shrink inside the bundle, which I then place in the 'fulling bag'. Half way through fulling, I took out all plastic and continued to rub, scrunch to add shape, particularly around the armholes and bust. I also paid attention to my edges not rolling in. It was a long process towards felting but I feel well worth the effort. I took extra time and extra care when the garment was whole because the seams were still soft and given the fineness and slipperiness of the fibres the seams required lots of rolling to bed into the rest of the garment. I looked at the fibres under the microscope – well not literally but through Google I sourced photos showing what the fibres looked like up close. 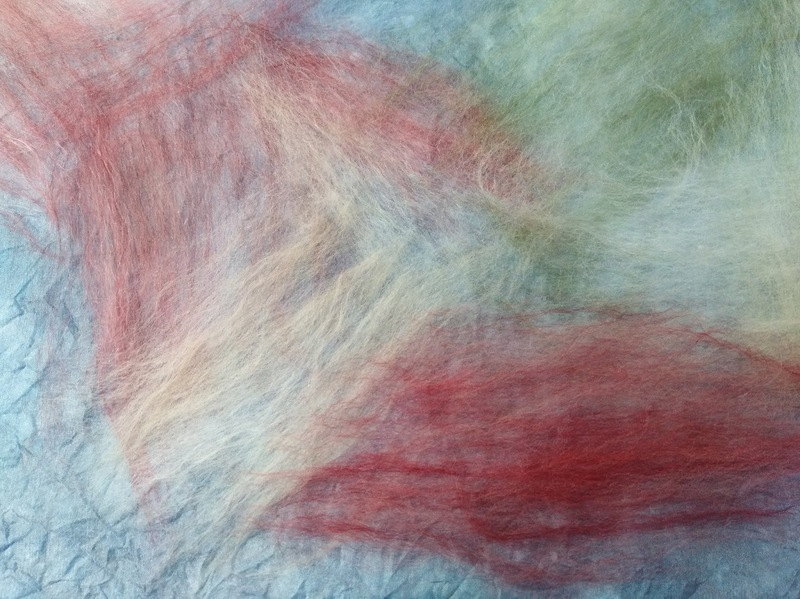 Tencel (not shown in the photo above) – a so-called ‘eco’ fibre is much like silk, even smoother, and so I found it problematic for Nuno felting, as it doesn't have barbs to catch onto the carrier fabric. 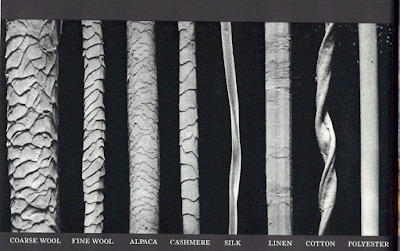 Merino wool as we felt makers know has lots of barbs – alpaca, cashmere, and angora less so but still these fibres do have a tendency towards matting. Using these fibres in a ‘luxurious’ blend does make for exciting felting – as in combination they are all reacting differently when agitated. It would have been hard going without my Gentle Roller. But since I have it to tackle the rolling, it doesn’t worry me if I roll tens of thousands to get the smooth and even surfaces I desire.